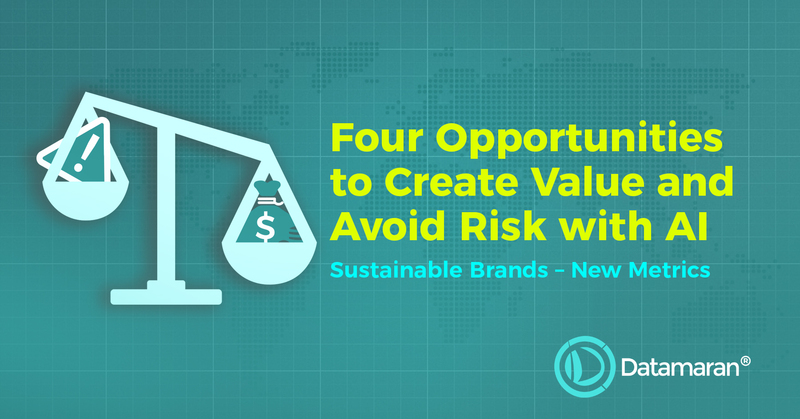 At Sustainable Brands New Metrics 2017, Datamaran CEO Marjella Alma presented on how some of the world's leading companies benefit from leveraging a data-driven approach for their materiality and risk analysis processes. So, where can you begin? Whether you’re the sustainability professional in your company or a member of the C-suite, your first step is to understand the power of the insights that are locked away if you follow an incomplete strategy. Let us help you take the first steps. Get in touch with one of our industry experts today. From now until 31 December, you can benefit from extra services at no additional cost. Get in touch to learn about the extra services that are now included in an annual license.